string(36) "University of Puget Sound Wyatt Hall"
string(47) "University of Puget Sound Wyatt Hall SQUARE.jpg"
string(70) "public://projects/list/University of Puget Sound Wyatt Hall SQUARE.jpg"
Designed to match the exiting campus’ Gothic style, Wyatt is a three-story, 50,000 SF building that features classrooms, offices, and a large central gathering atrium that holds distinctive glass artwork by Dale Chihuly. The building is comprised of pre-cast concrete floor plates and a structural steel “bent” framed roof system. 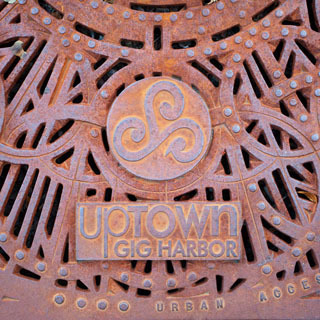 string(28) "Uptown Gig Harbor SQUARE.jpg"
string(51) "public://projects/list/Uptown Gig Harbor SQUARE.jpg"
This tapestry of distinctive shops, restaurants, and a multiplex cinema is interwoven with pedestrian walkways, outdoor seating, lush landscaping, water features and sculptures. This project received the People's Choice award from the Masonry Institute of Washington in 2009. The majority of the dozen wood framed and masonry buildings from 3,500 to 75,000 SF were designed using BIM (Building Information Modeling) in close collaboration with the Architect. The 3-D models were further utilized during the construction phase for visualization and coordination. string(41) "Valley Regional Fire Authority Station 34"
string(52) "Valley Regional Fire Authority Station 34 SQUARE.jpg"
string(75) "public://projects/list/Valley Regional Fire Authority Station 34 SQUARE.jpg"
Station #34 continues to enhance the safety of the Auburn area. 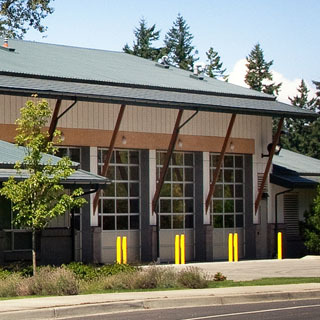 This 11,200 SF station is home to 8 overnight staff with 3 drive-thru apparatus bays and packed with all of the proven and effect design elements utilized at other VRFA facilities such as ample kitchen and dining spaces, overnight sleeping areas and spaces where the community can connect with the firemen serving their neighborhood. string(60) "Washington State History Museum Archives Building SQUARE.jpg"
string(83) "public://projects/list/Washington State History Museum Archives Building SQUARE.jpg"
The Central Regional Branch provides archival and records management services to local government agencies in several central Washington Counties. 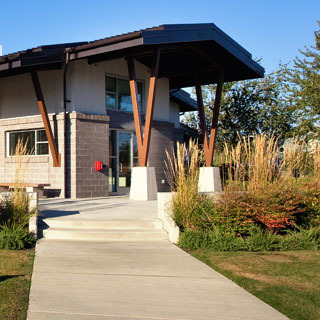 This steel and masonry 16,500 SF single story facility on the Central Washington University campus echoes the character of the surrounding buildings while providing functional storage for important State documents. string(31) "Lakota Middle School SQUARE.jpg"
string(54) "public://projects/list/Lakota Middle School SQUARE.jpg"
Lakota Middle School is 77,100 SF of both traditional classrooms as well as two-story shared spaces for learning and recreation. Exposed concrete floors and structural steel provide for a clean design, exposed throughout the building. Large windows and skylights allow for an abundance of natural light and also provide excellent views of the surrounding trees and nearby urban park. 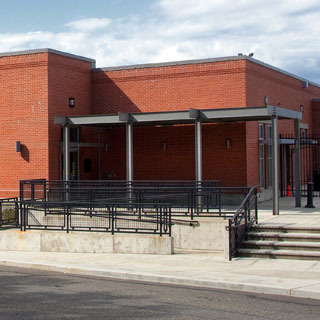 A renovation and seismic upgrade of the existing gymnasium structure also took place and provided locker rooms and mechanical space that allows the gym to continue serving the students of Federal Way Public Schools. The Salishan Community comprises a 250 acre neighborhood in Tacoma, Washington, which was built in the early 1940's to provide temporary housing for ship workers during World War II. 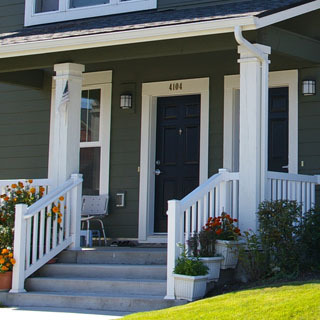 The dream of the Tacoma Housing Authority was to revitalize this neighborhood in order to create a place people love to call home. The project includes 1,400 new units over seven phases, including 91 homes that have achieved LEED Platinum Certification. The project has received several awards, including the 2007 American Institute of Architects Housing Award. string(41) "Valley Regional Fire Authority Station 33"
string(52) "Valley Regional Fire Authority Station 33 SQUARE.jpg"
string(75) "public://projects/list/Valley Regional Fire Authority Station 33 SQUARE.jpg"
Station #33 provides rapid response and safety to the growing Lakeland community. This 12,200 SF single story firehouse is home to 8 overnight staff with 6 drive-thru apparatus bays and kitchen, dining and enclosed patio. Located above a challenging steep sloped wetland site, Station #33 created space where there appeared to be no space. The project received the Construction Management of America Achievement Award in 2010.
string(23) "La Vida Real SQUARE.jpg"
string(46) "public://projects/list/La Vida Real SQUARE.jpg"
Reminiscent of a picturesque Spanish village, La Vida Real is tucked away in the suburbs of Rancho San Diego, California. 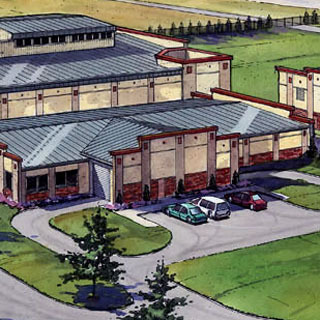 The 300,000 SF three-story, wood-framed building offers a combination of independent living, assisted living and skilled nursing facilities with a restaurant-style dining room, swimming pool, spa, fitness center, and beauty/barber shops. Creative framing design and construction allowed the Owner to receive value that was translated into desirable amenities for the residents of the 353-unit facility. string(20) "Rancho San Diego, CA"
string(38) "Tacoma Public Utilities Admin Complex "
string(37) "Tacoma Public Utilities HQ SQUARE.jpg"
string(60) "public://projects/list/Tacoma Public Utilities HQ SQUARE.jpg"
string(512) "The 120,000 SF three-story headquarters for TPU addressed several unique requirements. Among them, included introducing an essential facility-level Emergency Operations Dispatch Center adjacent (and seismically isolated) to the office building. Additionally, a two-story sky bridge that spans over the parking lot to the existing main building was designed to be erected as one element, which reduced the project schedule. 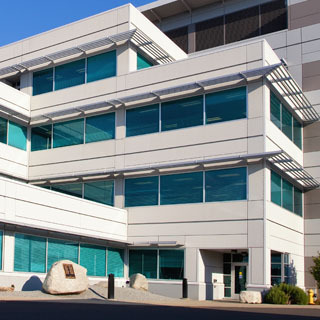 PCS introduced a central concrete core lateral system which complimented the continuou"
string(566) "The 120,000 SF three-story headquarters for TPU addressed several unique requirements. Among them, included introducing an essential facility-level Emergency Operations Dispatch Center adjacent (and seismically isolated) to the office building. Additionally, a two-story sky bridge that spans over the parking lot to the existing main building was designed to be erected as one element, which reduced the project schedule. PCS introduced a central concrete core lateral system which complimented the continuous “through tube” Centria exterior cladding system." The 120,000 SF three-story headquarters for TPU addressed several unique requirements. Among them, included introducing an essential facility-level Emergency Operations Dispatch Center adjacent (and seismically isolated) to the office building. Additionally, a two-story sky bridge that spans over the parking lot to the existing main building was designed to be erected as one element, which reduced the project schedule. PCS introduced a central concrete core lateral system which complimented the continuous “through tube” Centria exterior cladding system. string(56) "Kitsap Joint Fire Training & Emergency Services Facility"
string(35) "Bremerton Training Tower SQUARE.jpg"
string(58) "public://projects/list/Bremerton Training Tower SQUARE.jpg"
string(58) "Kitsap Joint Fire Training and Emergency Services Facility"
This multi-story Fire Training Tower was designed with “burn” rooms, “flood” rooms and numerous fall arrest anchors placed throughout the exterior perimeter. Predominately a CMU exterior load bearing structure, PCS recommended a cast-in-place elevated floor system at the lower floors with specific clearances to internal reinforcing steel - this allowed fire training and burn rooms to apply heat directly on the structure without additional protection. 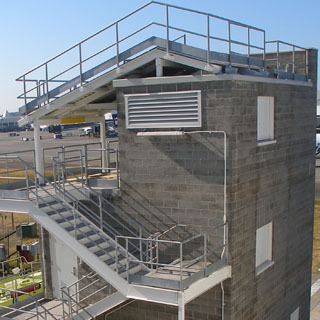 The upper floors incorporated precast concrete systems to reduce costs and increase speed of construction while providing the durability the client needed in this training facility. Fall arrest systems were designed for general OSHA requirements and for specific “tandem” repelling drills requested by the client. string(34) "Lakewood Police Station SQUARE.jpg"
string(57) "public://projects/list/Lakewood Police Station SQUARE.jpg"
Efficiency was the focus for the new 60,000 SF Lakewood Police Headquarters, which was built for a police district that had limited resources and facilities. Multiple programs were integrated into tight spaces included holding cells, gun range, administration functions, public spaces, etc. 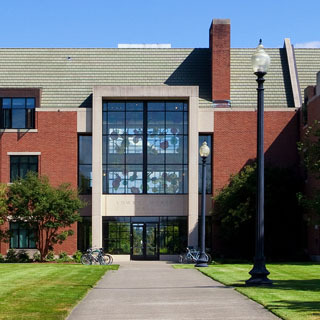 PCS worked collaboratively in the early scoping stages of the project, in order to support many of these programed spaces with efficient structural systems. The headquarters is marked by a natural blend of concrete, steel, and timber that were balanced to meet the client’s needs - especially the tight budget. string(47) "Port of Seattle Aircraft Rescue & Fire Fighting"
string(37) "Port of Seattle ARFF Tower SQUARE.jpg"
string(60) "public://projects/list/Port of Seattle ARFF Tower SQUARE.jpg"
string(46) "Port of Seattle Aircraft Rescue & Firefighting"
A stone throw from the north satellite inside SeaTac Airport security sits  a multi-story training tower for Aircraft Rescue & Fire Fighting. 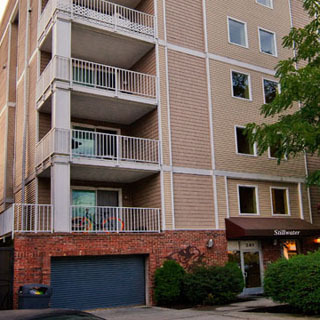 This 1,320 sq ft tower features drive-up access all around, hose drying, exterior stairs, a basement level and more. Extensive use of soil nailing allowed two of the seven stories of the concrete masonry structure to be built into the hillside to maximize the use of the 50’ wide lot. Efficient use of steel framing facilitated large open spaces within the large condo units and the specialized lateral system allowed panoramic views of Commencement Bay. 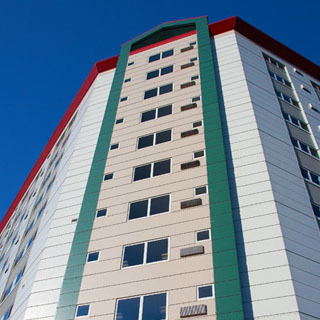 Hokold Pacific Towers was one of the first multi-story housing developments to embrace the housing revitalization of downtown Tacoma in the early 2000’s. 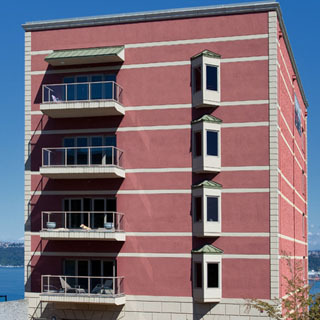 The 14-story, 210,000 SF condominium building on the hillside overlooking Tacoma, provides 94 living units. The project included 1,200 tons of structural steel, 1,156 sheets of fabrication drawings, 4 months of steel fabrication, and 35 days of steel erection. PCS utilized its trademarked delivery system, Integrated Steel Design, to manage the steel design, shop drawing production, and early bidding of mill steel as a complete package. The result:  Smooth Fabrication, Fast Paced Erection, and only two RFI's. string(37) "Seattle University 1313 East Columbia"
string(54) "Seattle University 1313 E Columbia Building SQUARE.jpg"
string(77) "public://projects/list/Seattle University 1313 E Columbia Building SQUARE.jpg"
The 1313 East Columbia building has seen several uses in its history. Built in 1936 in the Art-Deco style, it originally served as a Coca-Cola bottling plant. 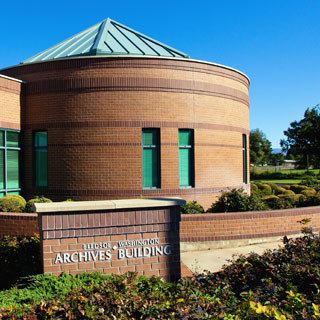 The University purchased the building so it could be used as a temporary academic library, and later as a main hub for its facility administration. A full seismic upgrade of the existing concrete facility was implemented as well as modifications to framing that allowed desired program modifications and the support of new mechanical equipment. The Stillwater Apartments provide affordable housing for Tacoma residents of the Stadium District. The building is five-stories of wood-framed apartments constructed over one level of underground parking. The project developer challenged the design team to utilize a wedge-shaped lot with existing multi-story buildings on either side. In order to realize this project PCS made use of temporary tie-backs, a post-tensioned concrete transfer level, and five stories of wood construction that matched the shape and maximized the square footage of the site. string(38) "Tacoma Public Utilities Shops Building"
string(49) "Tacoma Public Utilities Shops Building SQUARE.jpg"
string(72) "public://projects/list/Tacoma Public Utilities Shops Building SQUARE.jpg"
The TPU Shops building provided much needed working space that is dedicated to the continued mobilization of TPU’s fleet of service vehicles. 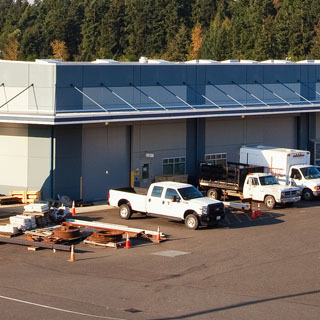 PCS collaborated early on with long-time client TPU to establish the functionality needs of the 55,000 SF facility. 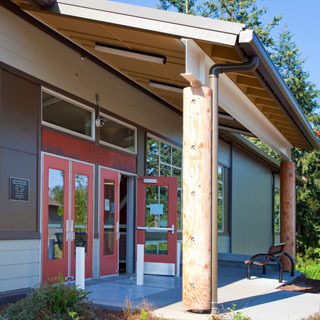 PCS developed a steel truss that could span the width of the building, and fit within slots through the concrete tilt-up exterior walls to create a 25’ cantilevered roof along the longitudinal face of the building. The cantilever eliminated the need for any exterior canopy columns, which reduced vehicle damage, while increasing operation and storage efficiencies around the building. string(32) "Yakima County Correction Center "
string(39) "Yakima Valley Justice Center SQUARE.jpg"
string(64) "public://projects/list/Yakima Valley Justice Center SQUARE_0.jpg"
The Yakima County Correction Center stretched its dollars to maximum effect by purchasing an existing pre-engineered metal building from Pierce County, deconstructing it, transporting the pieces across the mountains, and resurrecting the structure in Yakima County. The exterior of the building was enhanced with insulated concrete wall panels, while additional floor space was created by the construction of a new mezzanine floor structure. PCS worked closely with the general contractor to ensure details allowed for speedy erection and straightforward incorporation of new mezzanine and exterior wall panels. Wildcat Minerals, North Dakota, consists of an array of complex bulk material conveying, storage, and distribution equipment. 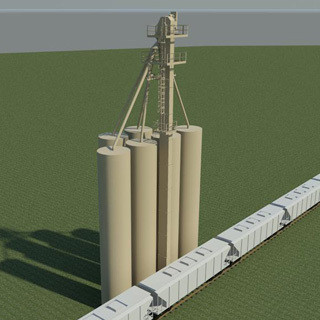 PCS utilized BIM to design a bulk materials vertical conveying and storage system that incorporated a unique integrated structural support system. The material spouts and tanks provide support, rather than relying on guy wires or supplemental structural towers. 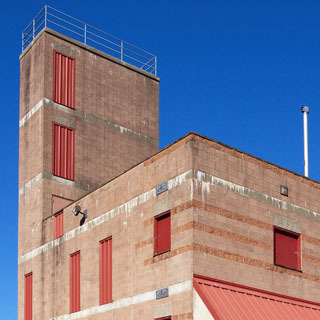 This design concept allowed a standard bucket elevator to cantilever 49-feet above the storage tanks and saved the owner significant money while enhancing site expansion flexibility. string(28) "Cedar Park Elementary School"
Seismic upgrades are vital to keeping our historic buildings functional and safe in the 21st century. What’s significant about Cedar Park Elementary School’s history? Cedar Park Elementary was built in 1959 and was designed by Paul Thiry, the Pacific Northwest’s father of architectural modernism. 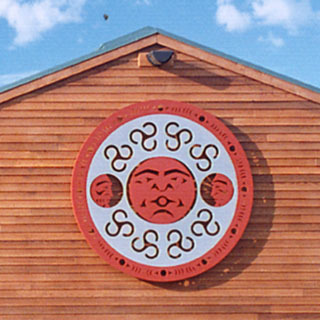 In 1981 it was converted from a school to a live-in artist colony; 30 years after that, Seattle Public Schools returned the building to its original use as an elementary school. 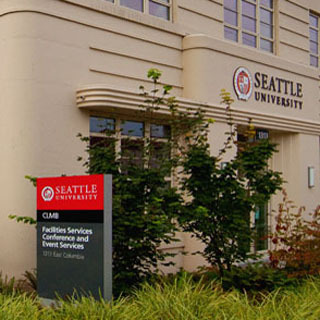 The building was designated as a Seattle landmark, so our upgrades had to follow the standards set by the Landmark Preservation Board. Instead of changing the structure to fit our vision, we had to reach the exact conclusion that the architect did in 1959. How did your team connect to meet that challenge? 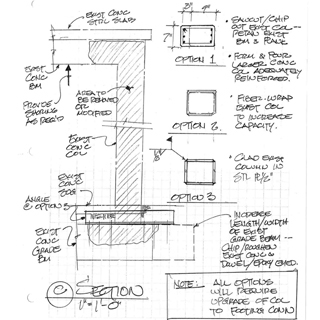 We had to connect early and often, flowing ideas back and forth with the team to determine an “invisible” retrofit solution that wouldn’t disrupt the original aesthetic. What bold solution did you come up with? Our engineers brought up the idea of using Fiber Reinforced Plastic (FRP) to structurally bond the existing roof to the new panels throughout the building. FRP was the code-approved “structural duct tape” that accomplished the necessary upgrades while honoring the structure’s historic character. It’s not very pretty, but it was perfect in this situation, as the upgrades were hidden under new roofing or concrete patching. We researched and synthesized information from similar projects. FRP is typically used for localized seismic upgrades in concrete structures—for example, wrapping concrete columns for reinforcing confinement, or upgrading existing concrete shear wall capacities. At Cedar Park, FRP provided an unobtrusive positive connection between each of the concrete elements. What did the rest of the team think of using structural duct tape? PCS may have come up with the initial solution, but the whole team collaborated about where and how to utilize this idea. At first the Seattle Building Official was startled at the expansive use of FRP we proposed, but they quickly got on board after we shared our rationale for the material. What else contributed to the project’s success? Early conversations and understanding of the building’s parameters in the planning and execution stages. Constant collaboration with the team allowed the push-and-pull of ideas that led to using FRP. What lessons are you taking forward from this project? 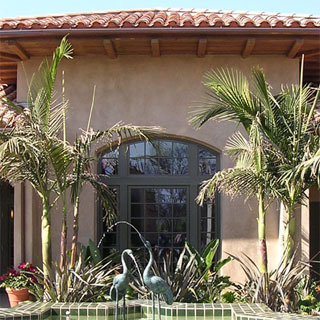 First, bring in specialty contractors early in the design phase. We were able to lean on their experience and learn the best ways to apply the FRP from the beginning. Then, fill your toolbox with knowledge – talking with our team helps us form new ideas and varied options to meet any diverse challenge. Rick Oehmcke joined PCS Structural Solutions in 1987. Rick heads up the Building Information Modeling (BIM) team at PCS and has served as a Principal in Charge on many of the firm’s educational, commercial and residential projects. He enjoys the challenge of coming up with unique solutions through collaboration across design disciplines and construction trades. Project Photographs provided by Studio Meng Strazzara.